Dogs are the greatest companions and friends to humans, but when they are not busy in being your best friends, they can be found digging in your garden and chewing on your flowers. So, even though your dogs are loyal and fun buddies, they can create a mess of your well-maintained flower beds. Yes, you should have an emotional bond with your dog, but you can’t let them make flower beds their playground. When the dig, they can hurt themselves and can cause injuries. 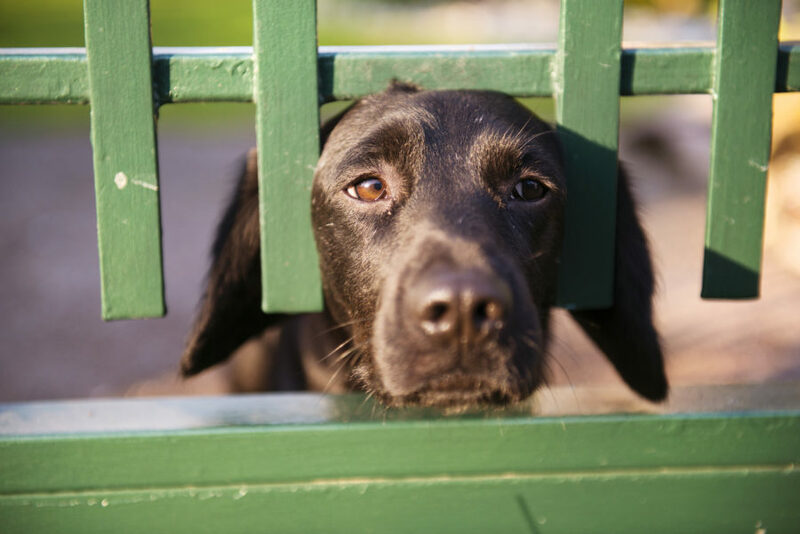 To avoid these things, you should take some actions for keeping your pooch away from the garden. Before starting to explain the ways of keeping dogs out of the flower beds, I will give a brief about the reasons behind their digging. Several things lead your dogs to dig in your garden; the most common reason is boredom. If your dog is hyperactive, but you don’t have enough time to play with him, then he will find his own entertainment. The garden is the one of the most attractive places for dogs and the soil that you used for flower beds is easier to dig compared to the other parts of the garden. The beautiful site, texture and smell of the flower beds attract pets (and other animals!). Another reason behind the digging is the compost you have added in the landscape to gain more blooms. The smell and taste of some fertilizers attracts your canine to the plants. Due to the warm, soft, smelly, and easy-to-dig soil base, dogs create hidey-holes to lie in or bury their toys. By resting in their new place, canines play with earthworms, moles & at the same time chew your plants! How can you keep your dog away from flower beds? There are specific ways that can help you keep your pooch away from your beautifully arranged garden. The most common and harmless way is to create a dog fence. You should make a strong, attractive, and tall enough physical barrier according to your canine’s height. Making the area so it is not easily accessible can make your dog stay away from the flowers. If your pooch is stubborn, then create an invisible fence in the area. It will not harm your beloved friend but will surely give him unpleasant experience. You can use receiver collars which can connect with the fence system. You can also use flags as fencing around the flower beds. Teach your dog not to go beyond this boundary and stay away from the plants. Using dog repellant is also a useful way to keep your pooch away. Spraying dog repellants on the flowers will help keep your pets away from them. There are commercial repellents available in the market at affordable rates. Their strong aromatics are not harmful to the pets but makes them irritated. Remember to not spray the repellants directly on dogs and do not spray them on the plants when your dog is around as it can lead him to stay away from you rather than the plants. You can also use natural dog repellents like semi-rotten potatoes, orange peels, peppermint leaves, etc. to keep your pets away from the plants. These repellant plants not only will keep dogs from flower beds, but also help in beautifying your garden. While some dogs love water, other dogs actively stay away from it. You can use your sprinkler system for keeping dogs from a specific area. A motion-activated sprinkler system will detect the movements and trigger a quick water spray. This method will surprise your pets and will make them stay away from the flower beds. A significant advantage of using such motion detecting sprinkler system is that it not only will keep your dogs but also the neighbor pets and stray dogs away from the flower beds. Another way to keep your dog from plants is to arrange the flowers in a way that is inaccessible to your dogs. Place valuable plants in the backyard as this area might be less accessible to the neighborhood pets than the front yard. Choose the right spot in your garden and plant the flowers and other plants that you want to keep safe from dogs. This solution is my favorite because it worked well for me. I designed the backyard garden by using a design which doesn’t let my Pomeranian feel uncomfortable to play. I have created a separate path for his walking. Also, he sees me working with my garden and understands that I get a little bit of less time to play with him. I used some flower containers too for keeping my precious plants safe and unreachable. If you start training your dog when he is a puppy, then you can keep him away from flower beds without having to resort to other method. Dogs are cute and adorable, but they are smart enough to understand the commands even if they are only a few months old. Things will be easy to manage if you teach your dog to stay away from the garden area when you are planting the flowers or even before that. While training your dog, make him aware of different areas in your garden. Let him understand which areas to access and which should be left untouched. This small effort will keep your flower beds safe without disturbing the routine of your pooch. You love your canine and your garden both. Then how will you manage them and keep them safe from each other! Well, follow the simple yet effective methods as mentioned above, and you will be happier by seeing their friendship! Dogs love their owners, and they expect the same in return. 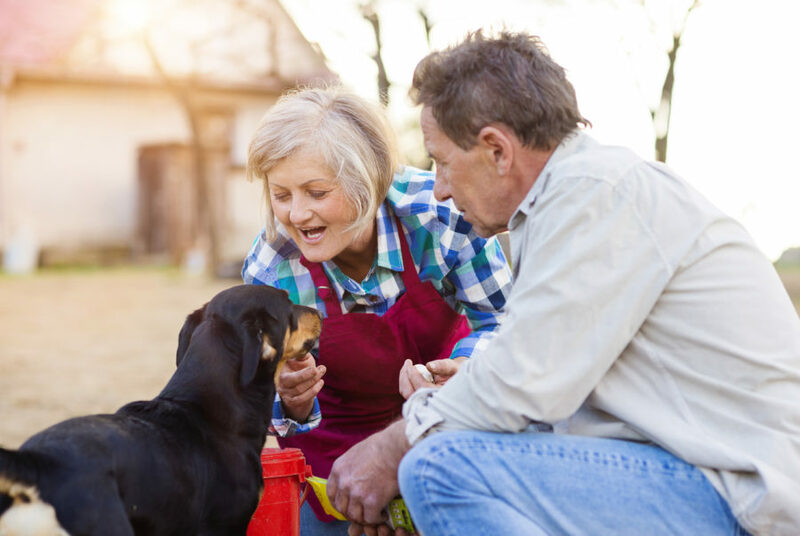 So, if you are a dog owner and want to make a strong bonding with him, then make sure to create a pooch-friendly backyard. About the Author: Mandip is an IT graduate who loves to write about animals, tech, and other trending topics. He is a proud owner of ‘Blue’ – a Pomeranian. He is associated with dog food research. When not busy in working, he enjoys his time with his pooch & visits nearby animal shelter.